Looking for a high definition DVI adapter? This USB C to DVI cable is 5 meters long with gold plated connectors for a great signal quality. The cable supports DVI 225 MHz / 2.25Gbps bandwidth per channel and 6.75Gbps for all channel. Get the Crystal Clear quality you’ve been looking for. 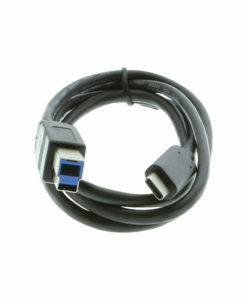 A Hassle free device connection to a DVI monitor, projector, or television for crystal clear picture quality. 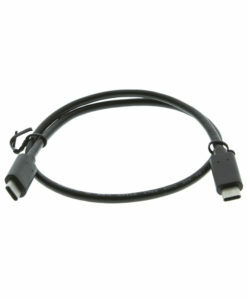 The USB C to DVI adapter cable is 5 meters in length and will work with devices support DP ALT Mode. The heavy duty 7.34 diameter cable is of course very flexible and easy to use. It uses gold plated USB C and DVI connectors for great signal clarity next to non plated connectors. Built-in to the USB C to DVI connector is the ability to give you resolutions up to 1920 x 1200 video. The DVI adapter cable is backward compatible with 1080P displays for work environments such as home or office that need HD display.